from the competitively priced Value Series to the feature-rich TouchScreen Series to IECC2015 and Title 24 code compliance, we have what you need! 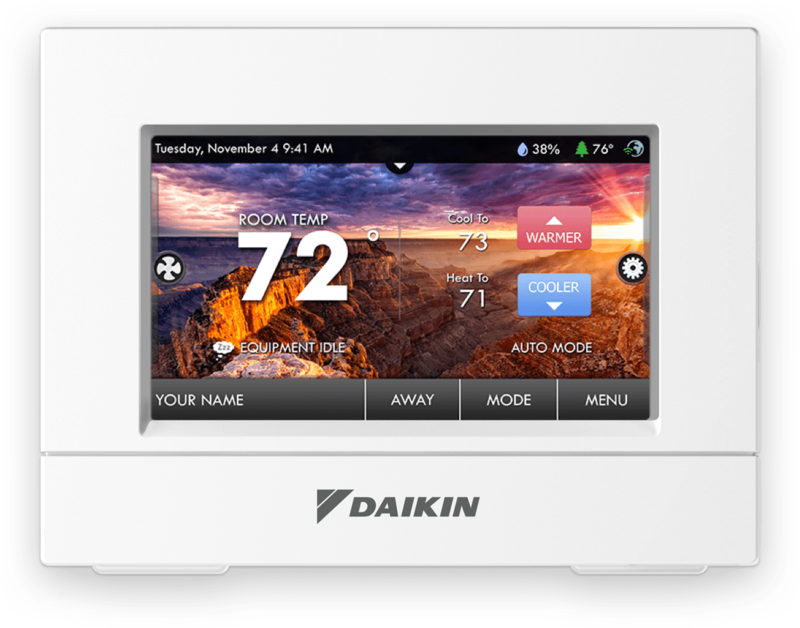 Introducing the new residential and commercial TouchScreen series thermostats with built in WiFi and high resolution, full-color touchscreen displays. Available with humidification and advanced dehumidification features including reheat and variable speed fan control with compatible HVAC systems. Also compatible with wired and (coming soon) wireless remote sensor control and averaging. Introducing the new residential and commercial Premium series thermostats with optional WiFi and with IECC2015 and Title 24 compliant models. Available with humidification and advanced dehumidification features including reheat and variable speed fan control with compatible HVAC systems. Other models include wired and (coming soon) wireless remote sensor control and averaging, as well as Light Activation control for Occupied schedules. 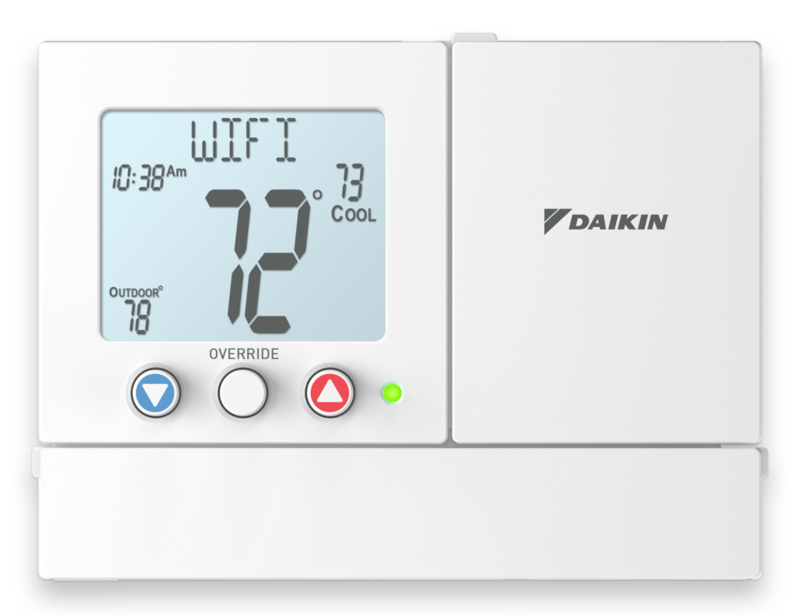 The all new residential and commercial Premium Mini thermostats with built in WiFi—the lowest cost WiFi thermostat with 7-day programmability and two stages of heating and cooling. 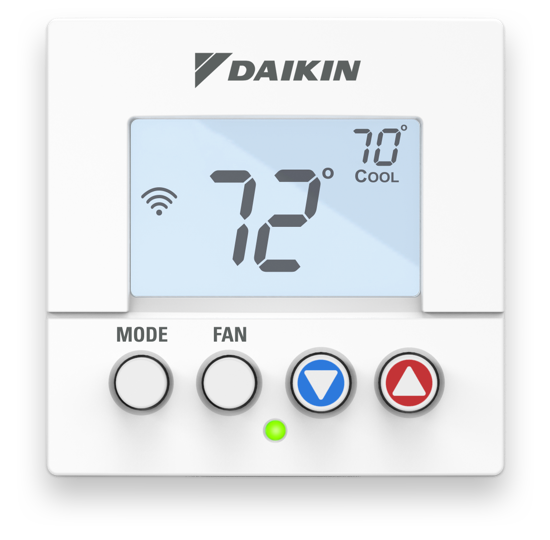 The perfect thermostat for residential new construction and multi-site commercial customers! Coming Soon: wireless remote sensors for temperature control and averaging. 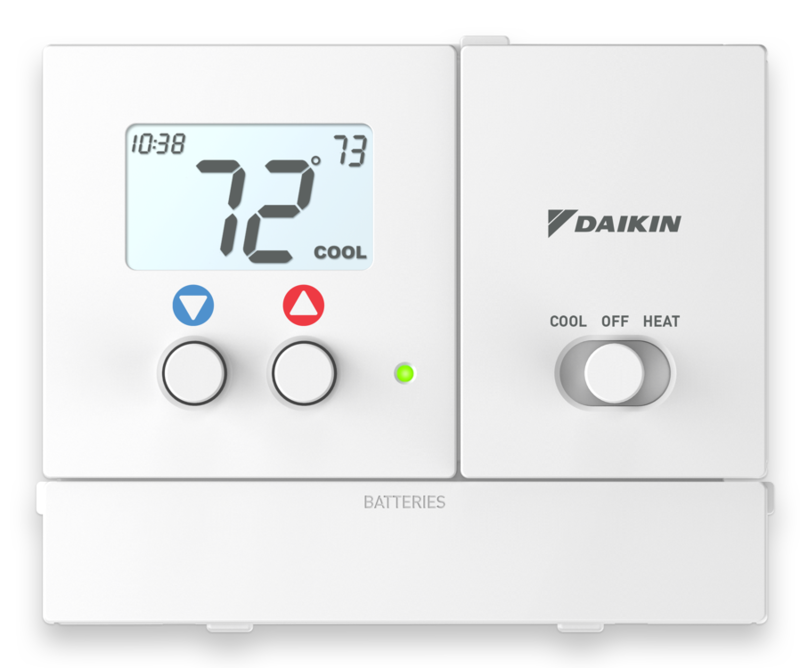 The new line of Daikin thermostats offers industry leading features, designs, and quality for all of your HVAC control needs, from the competitively priced Value Series to the feature-rich TouchScreen Series to IECC2015 and Title 24 code compliance, we have what you need!